Study abroad in the USA with NESA UGRAD! 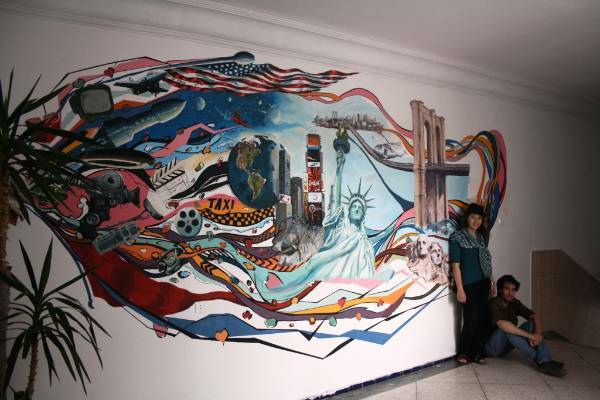 NESA UGRAD, sponsored by the U.S. Department of State, provides outstanding Moroccan students ages 18-25 with the opportunity to pursue one academic year of undergraduate studies at an American university. NESA UGRAD is not a degree program. It is an academic challenge, a cultural immersion and the perfect stepping stone to future graduate studies in the USA. Download the NESA UGRAD flyer <http://morocco.usembassy.gov/> from U.S. Embassy Rabat, contact us on Facebook <http://www.facebook.com/usembassyrabat> with any Morocco-specific questions and visit www.nesaugrad.org <http://www.nesaugrad.org> for more information and to apply online. ***The application deadline for Morocco is Sunday, January 22nd. *** What are you waiting for? Apply today! Etudier aux Etats-Unis avec le programme NESA UGRAD ! NESA UGRAD est un programme financ par le Dpartement dEtat amricain. Cest une opportunit pour des tudiants marocains brillants, ayant entre 18 et 25 ans, de faire une anne dtudes de premier cycle dans une universit amricaine. NESA UGRAD est un programme dtudes qui ne donne pas accs un diplme. Cest une exprience acadmique, une immersion culturelle et le tremplin parfait pour de futures tudes de troisime cycle aux Etats-Unis. Tlchargez le formulaire NESA UGRAD du site de lU.S. Embassy Rabat, contactez-nous sur Facebook pour toute question spcifique la comptition au Maroc, et visitez www.nesaugrad.org <http://www.nesaugrad.org> pour plus dinformation et pour vous inscrire en ligne. ***Le dernier dlai pour sinscrire est le Dimanche 22 janvier 2012. Quattendez-vous ? Inscrivez-vous ds maintenant ! NESA UGRAD 18 25 . NESA UGRAD . NESA UGRAD <http://morocco.usembassy.gov/> ء <http://www.facebook.com/#!/USEmbassyRabat> . www.nesaugrad.org <http://www.nesaugrad.org> . *** 22 *** ! The ALC Agadir Community Service Club completed its first year this June with a party. There were chips, cake, soda, students and teachers at the party, but most importantly, there were fond memories of going out in the Agadir community and helping others. The party was held to honor the students who had contributed to the success of the club. 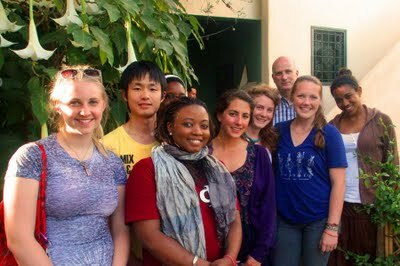 From October 2010 to June 2011, a group of 30 ALC students and teachers volunteered a total of 236 hours through different club projects. Activities included tutoring at-risk boys at a juvenile center, collecting used clothing, making sandwiches and giving them to street people, sponsoring a game day at the juvenile center, and collecting food for a local charity. Most members faced challenges during their volunteer experiences, but everyone felt a sense of accomplishment with the knowledge that less fortunate people were made better off through the club’s efforts. Friendships were also made during the year, and everyone is looking forward to next year to see each other again and to keep up the good work! Students and teachers of the ALC Agadir Community Service Club celebrate a year of helping their community. Twelve Moroccan high school students returned from Space Camp USA this summer, an educational and linguistic experience like no other, sponsored by the American Language Centers of Morocco and the U. S. Deptarment of State. They were joined by students coming from all over the world, including 74 different nationalities. Some of the local news stories are featured here. Two students from the National Fine Arts School in Tetouan, Soukaina Joual and Yassine Khaled, have been granted tuition to learn English for a year at the local ALC. 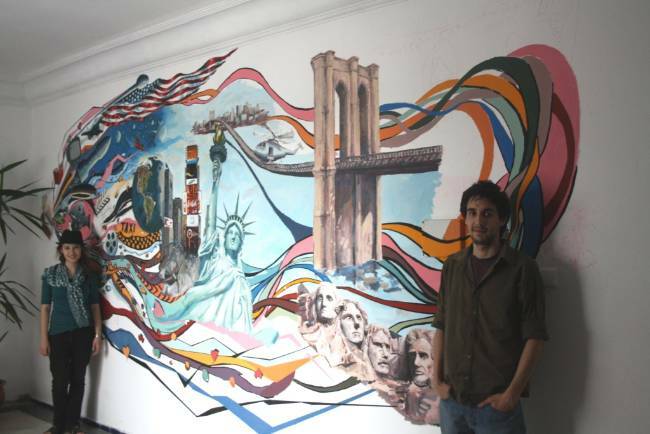 In exchange, they have painted a beautiful mural on one of the Center’s walls, evoking popular American culture and landmarks. The ALC Tetouan would like to congratulate them for their wonderful work and encourage students and friends to come admire it. Have you ever dreamed of being an astronaut? Your abilities in math and science and your English language skills may help make your dream come true! 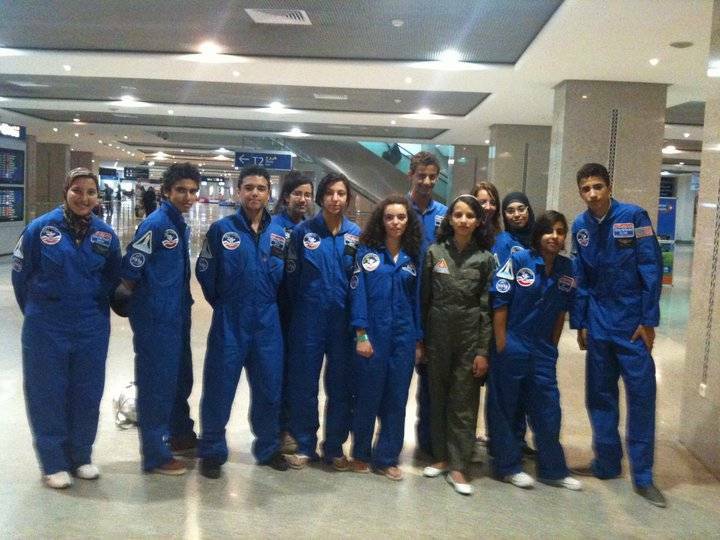 Applications are due by Friday, June 3 for the second edition of the Moroccan Space Camp Scholarship. Space Camp is an interactive educational experience which brings theory to life through simulated training as a pilot or mission specialist aboard the NASA Space Shuttle. Twelve youth scholarship winners—boys and girls ages 15-17 who excel in science, technology, engineering and mathematics—will enroll in Advanced Space Academy: a challenging mental, emotional and physical experience for high school students. Space Camp will take place in at the U.S. Space and RocketCenter in Huntsville, Alabama, USA from July 3-July 8, 2011. All participant costs including air and ground transportation, lodging, meals and incidental expenses will be paid by the U.S. Department of State and the AmericanLanguageCenters. To apply, simply review the eligibility criteria above and, if you qualify, complete the online applicationform by Friday, June 3 and start gathering the necessary supporting materials listed in the application. If selected for the next step, you will be contacted for an interview during the week of June 6-10. If chosen for the program, you will be notified on Monday, June 13. For more information about Space Camp, visit http://www.spacecamp.com. 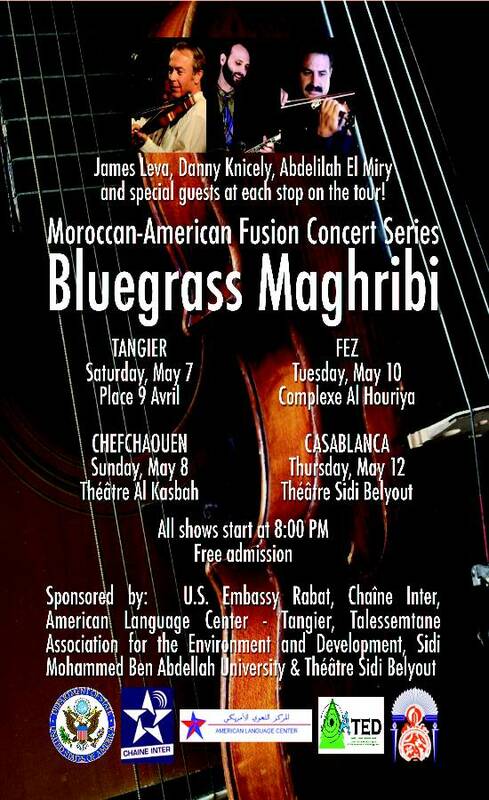 If you have any questions, visit rabat.usembassy.gov or www.facebook.com/USEmbassyRabat or contact the U.S. Embassy at rabatyouth@state.gov or 0537-66-80-45 . The View from Fez had the good fortune to catch up with a group of students from DartmouthCollege in the USA, studying at the Arabic Language Institute in Fez. There are 11 students in the programme which, by all accounts seems to be an intense cultural immersion. 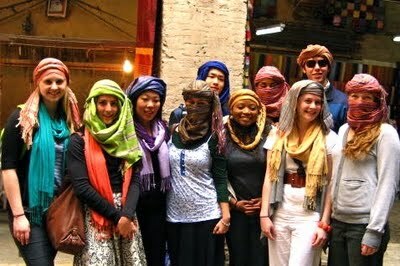 The students are staying with Moroccan families and learning Darija (the local dialect), rather than standard Arabic. Today a group of them took a crash course in "conservation renovation" with restoration expert David Amster, who reported that their language skills were remarkable. You can keep up with their adventures on their blog "Life in Fez"
ALC Meknes students recieve award to attend summer institutes in the U.S.
Two students attending ALC Meknes have been selected by the U.S. Department of State to attend special youth programs in Washington, D.C. for the summer 2011. Younes Seddouki will attend the Student Leaders Institute on Social Entrepreneurship and Fatima Zouhra Ktami, a graduate of the Access Program at ALC Mekness, will attend the Institute on Women and Leadership. The Study of the U.S. Institute for Student Leaders is an intensive academic program whose purpose is to provide groups of undergraduate student leaders with a deeper understanding of the United States, while simultaneously enhancing their leadership skills. The Institute on Social Entrepreneurship will consist of a balanced series of seminar discussions, readings, group presentations and lectures. The coursework and classroom activities will be complemented by educational travel to other parts of the United States, local site visits, and volunteer opportunities. The institute will include an academic residency component of approximately four weeks and a domestic travel component of approximately one week that will conclude with a three-day program in Washington, D.C. The Study of the U.S. Institute on Social Entrepreneurship will provide participants with an overview of how to employ entrepreneurial skills to address social issues. The Institute will review the development, history, challenges, and successes of social enterprises and community leaders, in the United States and globally. Topics may include microfinance; organizational development and management; grant writing; innovation; emerging markets and risk analysis; strategic business planning; corporate social responsibility; and women and minorities in entrepreneurship. The Women’s Leadership Institute examines the history and participation of women in public life in the United States. The institute focuses on two major areas: (1) Developing participants’ leadership skills in areas such as critical thinking, communication, decision-making and managerial abilities; and (2) Placing these abilities in the context of the history and participation of women in U.S. politics, economics, culture and society. The institute examines women’s historical domestic progress toward equality in the United States, the current domestic successes and challenges to women in a variety of fields and current challenges in global women’s issues. How Can We Clean The World? is theme of the Young Learners 4 course book at the AmericanLanguageCenter, Mohammedia. Though many units begin and end in the classroom, teacher Ashley Cannell and her class did not simply close their books when they covered the unit. 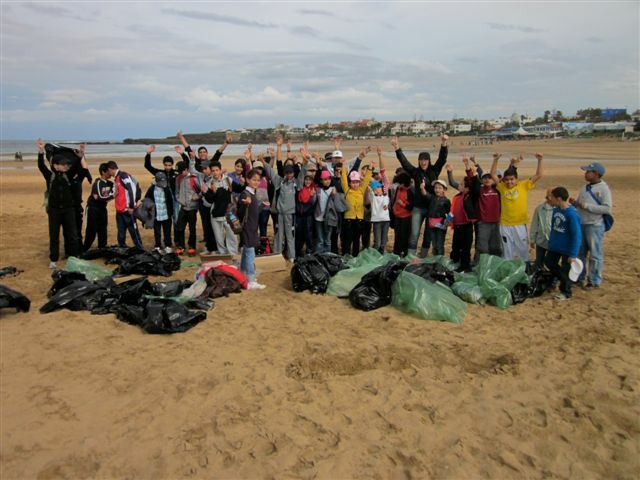 On Saturday, March 12 ,they "recycled" the unit at nearby Pont Blandin beach by conducting a beach clean up. Accompanied by two other participating ALC classes (YL2 and T3 classes), teachers Ashley, Mohammed Boubou, Yassine Boussagui, and the school director joined students in picking up everything from shoes to diapers, cans and glass from the beach. They showed us that in just two hours their small hands can make a big difference and have the power to stop trash from reaching the ocean.